Our favorite Renaissance Man – Tony Pourhassan – is the creative mind and talented craftsman behind Highlight Homes, LLC and sister company Vesmont, Inc. It’s not unusual for Tony to be involved in every aspect of a project his companies oversee – from initial consultation with the client, to design of the site plan, custom home or renovation, to getting right in there with his team to swing a hammer or turn a screw. He’s a highly esteemed entrepreneur who’s not afraid to get his hands dirty, and on Saturday, February 19 – Tony found an entirely new reason to fall in LOVE with the prospect of getting his hands dirty. On that clear, cool morning in Birmingham, Alabama – Tony Pourhassan stood alongside bishops, pastors and congregation members of the African Methodist Episcopal Church (AMEC) to break ground on an innovative concept. 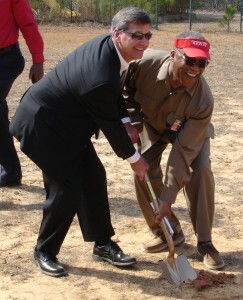 In addition to his role as Principal of Highlight Homes and Vesmont, Inc., Tony Pourhassan is President of TyCam Development – the company at the forefront of the site management and construction of a $24 million project in North Birmingham on land that has been in the church’s hands for decades. 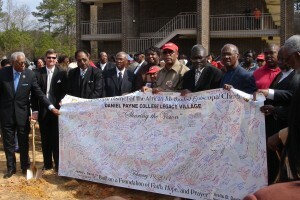 To the sound of applause before a crowd numbering in the hundreds, Tony and representatives of AMEC turned over the earth at the long-dormant former site of Daniel Payne College in a symbolic first step toward transforming the 153-acre property into an exciting faith-based mixed-use development called Daniel Payne Legacy Village. Already touting the credo “Built on a foundation of faith, hope and prayer” Daniel Payne Legacy Village will include a community comprised of a beautiful church retreat complete with lodging and conference facilities at the development’s core. Recreational space, more than 50 acres of green space providing beautiful park-like surroundings, and a bungalow residential neighborhood of nearly 120+ single-family homes will encircle the retreat. Handsomely constructed office space and a retail center will serve as the face of the Village along Daniel Payne Road, making this a truly revolutionary “Live, Work, Play, Pray” community. It was apparent that the feeling of community was already alive and well at the building site on the morning of the ground-breaking ceremony. Aside from elders and members of the church, other prominent community members in attendance included Alabama Senator Linda F. Coleman, Administrative Assistant to Mayor William A. 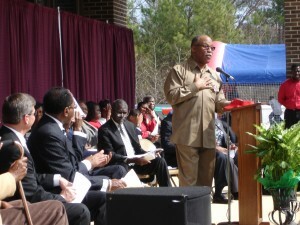 Bell – Charles Long, Birmingham City Council Members Roderick Royal and Steven T. Hoyt, and Neighborhood Association President Ellen Spencer. Along with proponents for the $24 million project, Tony looks forward to beginning construction of Daniel Payne Legacy Village in Spring 2011. As the sun shines over Georgia and the mercury begins its slow ascent in the coming weeks, thoughts start turning to Spring and all the beneficial changes it brings. The gardens will begin to bloom once more, lawns will shift from shades of gold to hues of green, the happy chirping of birds will begin to fill the air, and magazine covers bearing the latest Spring fashions and organizational tips will begin to line the shelves of grocery and book stores all over town. As you start jotting down items on your wish list of Spring projects to tackle around the house, consider what a relief it would be to incorporate more storage space in your home. The latest fashion trends in home décor have begun to lean toward refreshingly austere, luxuriously simplified spaces marked by splashes of color, bold artwork and uncluttered appearances. If you dream of having a home that could grace the pages of a coffee table book or interior design magazine, but is still practical and livable for your very REAL family – perhaps the provision of ample storage is the best place to start. Book Cases: Built-in bookcases have long served as a benefit when selling a home, conveying both a sense of luxury and practicality. Perfectly placed throughout your home, built-ins can not only be aesthetically pleasing but can also serve as additional storage space for your books, photo frames and knick-knacks on the shelves above and your less eye-catching items behind closed doors down below. Store items that you wish to be readily accessible (such as board games, coloring books, DVDs, video games, etc…) here – within easy reach but out of sight. 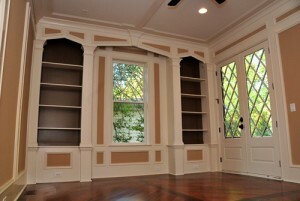 They can also help define a space – an unused corner by the stairs – into a charming book nook. Window Seats: Often chosen for the beautiful view beyond, a large picture window can also serve as a great excuse to add more storage space. The construction of a window seat with storage not only provides an area to store books, toys, linens or whatever you wish – it can also transform a window into a beloved “me time” space where you can curl up with a favorite book or a glass of wine and enjoy the view. When incorporated in a kitchen space, it could actually add more seating around your dining table. Walk-in Closets: If one of your biggest issues with your home is lack of closet space, you can pretty much guarantee that the same will be said by potential buyers when it comes time to sell your house. Seek the advice of a structural engineer to find out what your options might be – knocking out a non-load-bearing wall may just equate to double your current closet space – for many fashionistas and shopaholics, the closest thing to Heaven on Earth. While you’re doing that, you may want to look into having the contractor install a special closet system for smart storage of everything from your delicates to your ski boots. Converted Attics: If you find that there’s no way to increase your closet space by knocking out a wall, you may have a last resort – the attic. Through the addition of drywall, lighting, hanging bars and shelving – you may have the perfect space for a seasonal closet, a place where you store your off-season clothing for part of the year cutting the need for hanging space in your ACTUAL closet in half. 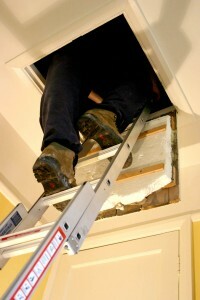 If your attic is easily accessible, you may be able to use it as a daily closet/changing room. Depending on the size, you could even convert it to an additional guest bedroom – if the “storage” of guests is a concern. Tech Centers: With more and more people trading the commute for the “tele”commute and working from their homes, the need for dedicated office space in the home is growing. If you’re short on space and don’t have an actual room to devote to a home office – a corner of the kitchen, a loft by the stairs or a large hallway can be converted to a “tech” center complete with electronic wiring, phone jacks, appropriate lighting, and cabinetry/countertops for a stylish homegrown cubicle that flows with the rest of the house rather than sticks out like a sore thumb. Ample shelving and cabinet space with plenty of doors for hiding unsightly paperwork is KEY to making this addition appear stylish, uncluttered and organized. Garages: Appropriate storage in the garage can not only help you organize the items you’d rather NOT store indoors, but can add an element of safety to this extension of your home. Toxic and flammable products can be stored behind cabinets out of a child’s reach, and shelves can be SECURELY attached to walls in the event that Jr. decides to play Spider Man and start climbing one afternoon. By choosing to add storage that makes sense in the garage, it’ll be that much easier to find the allen wrench or the garden shears when you need them without having to dig in cob-filled corners. Choose to make your garage an outdoor space that you enjoy rather than viewing as an eye-sore where you happen to park your car. Room Additions: In the event that you find that you have utilized every nook and cranny of your home to their fullest potential, it may be time to consider a room addition. This is another area where both a structural engineer and a good design-build firm come in super handy. It just so happens that we offer it ALL at Highlight Homes! Our structural engineer can take a look at your home to evaluate the best and most efficient placement of a room addition plus work out the logistics behind it, while our design-build team can create the space on paper then bring it to life for you and your family to enjoy to the fullest. You simply need to decide the best use of that space – freeing up another room in the house for storage. OR, if you wish to incorporate a sunroom filled with beautiful picture windows, covering the majority of the space under them with window seats offering storage could be beautiful AND practical! Highlight Homes, Atlanta’s premier custom builder and renovator is a design-build firm that welcomes the opportunity to help you utilize your home to its maximum benefit. With families of our own, we are well aware that life can get messy – but with proper storage, no one need ever know JUST how messy it can get. We invite you to contact us TODAY to discuss possible storage solutions in your own home. Call our talented team of designers and builders at 678.873.9234, e-mail us at info@highlighthomesga.com, or fill out our convenient online contact form and someone will be in touch with you shortly. Transforming your "necessary room" into a spa-inspired tranquil retreat is just one of the many things Highlight Homes can do for your home. Highlight Homes is proud to announce the debut of our NEW virtual portfolio featuring projects that span the gamut from a custom estate in Buckhead to new construction cottages in Newnan to whole home renovations all over the metro Atlanta area. This valuable online tool is designed to illustrate the wide range of expertise Highlight Homes’ offers to each and every one of our clients and serves as a visual showcase of our skilled craftsmanship and unswerving attention to detail. Several of our construction and renovation endeavors have gleaned the attention of respected local publications such as The Atlanta Journal-Constitution, Remodel Atlanta Magazine, Atlanta Home Improvement Magazine and The Newnan Times-Herald. Whether lauded by the media or not, each project serves as a shining example of our commitment to providing excellent customer service in addition to unmatched luxury and quality to every client we collaborate with. In nearly every instance, the end-results not only fit the clients’ vision and budget – but exceeded their wildest dreams. We look forward to adding new projects to our portfolio regularly, and invite you to check back often. Who knows? The next entry could be YOUR HOME! If you or someone you know is considering a home renovation or home maintenance project in the Atlanta area or surrounding suburbs, we encourage you to contact the design-build team at Highlight Homes. We welcome the opportunity to meet with you to discuss your project, and we offer an attractive referral program when recommending us to others. 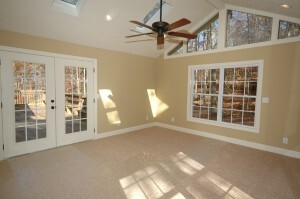 To learn more about our family-owned-and-operated company that offers more than a quarter of a century of experience in architecture, construction and remodeling – we invite you to visit us online at www.highlighthomesga.com. Aside from custom home construction, we also offer whole home renovations, kitchen and bath remodels, basement finishing, decks and patios, room additions, and much, much more. Our talented team of designers and builders can be reached by calling 678.873.9234, by e-mailing info@highlighthomesga.com, or by filling out our online contact form. We look forward to learning how best Highlight Homes can serve you and your family! We create unique living spaces that you and your family will enjoy for years to come! Walk around the exterior of your home to check your roof for missing shingles or obvious damage, then head up to the attic to check from the interior. Do you see discoloration, holes, or noticeable water damage? If so, it’s time to call in a professional! This step is usually most helpful during or immediately following a rain storm. Pay close attention to your gutters at this time, as well. If the water is not flowing freely through your gutters, then there could be a blockage which may lead to expensive water damage over time. While you’re up in the attic, check the vents and insulation for signs of critters and make sure that no insulation that has fallen over into the eaves where it might restrict the air flow. Check your basement for leaks during or immediately after a rainstorm. If your basement is finished, a leak may not be as easy to see – so check for moist carpeting around the baseboards indicating seepage. Even if you find no evidence of a leak, if you notice a musty smell – it may be time to invest in a good dehumidifier to remove the moisture from the air. If your home features crawl spaces, be sure to check those as well for moisture and water damage. Take a peek at the HVAC ducts to make sure they have not separated, the insulation is in good shape, and no critters have made a home there for the winter. Check the insulation around the water pipes to make sure there are no gaps that can lead to frozen pipes. Check around door and window frames for possible water damage. If you see an indication of wood rot, you’ll want to get that taken care of ASAP. Wood rot can actually be an indication of living mold spores or the dreaded termite infestation – both of which will continue to multiply and spread. A professional can quickly determine the cause of the wood rot – be it water damage, termites or otherwise – and come up with the best solution BEFORE it gets any further out of hand. While you’re there, be sure to take a close look at your weather stripping for holes and gaps – may be time to replace it. Test all of your outlets – particularly those with ground-fault circuit interrupters – this is best done following an electrical storm. If you believe you may have an issue – your cords become overheated or you notice a discoloration around the outlets – it’s time to call in a professional. Older homes are at a much greater risk – so if your home is more than a decade old, you may want to invest in a voltage tester from your local home supply store. According to the US Fire Administration, electrical problems in the home cause 485 deaths and $868 million in property losses annually – and are more common during the Winter months. If you haven’t already done so for the year, check all of your smoke alarms and replace batteries if necessary. Do you own a fire extinguisher? Do you know where it is? After locating it, check the meter near the handle to make sure the pressure is still good. If not, it’s time to invest in a new one. Talk to your family about what to do in the event of a fire, and even run practice drills – in the hopes that you will never have to use them. Remove hair and debris from all sinks, tubs and shower drains. Pour baking soda or another safe drain cleaner down the drain, if needed and flush with cool water to make sure your pipes are running smoothly. If you hear reports of sub-freezing temperatures, set your faucets to drip to encourage flow and DIScourage frozen pipes. If you are planning to head out of town and fear the temperatures may head south while you are away, open the doors to the cabinets under your sinks so the heat can circulate around the pipes. You may turn the heat down, but don’t shut it completely off. Check your refrigerator and/or whole home water filtration systems – may be time to install a new filter! Keep tabs on you HVAC filters & overflow pans. If the filter appears to be full, replace it, and make sure your over flow pans are clear of insulation & debris so that they function properly. If you find yourself in need of a home repair – whether it be roof replacement, basement waterproofing, water damage repair, pipe replacement, electrical wiring repair or general home maintenance – Highlight Homes can help. As custom home builders and skilled remodelers, we offer a wealth of knowledge and experience in all areas of your home. Simply give us a call at 678.873.9234, e-mail us at info@highlighthomesga.com, or fill out our online contact form TODAY! While we’re in your home, we can also discuss your wish list of possible remodeling changes you’d like to make in the near future. Hang in there! Winter’s almost at an end and Spring is just around the corner!! !